The number of leaks regarding the Galaxy Note 9 launch has already reached the point that there might not be any surprises left for Samsung to reveal on August 9. Joking aside, the next leak gives us an in-depth look at the most important accessories for the Galaxy Note 9. These accessories should be available the moment Samsung Galaxy Note 9 will make its way to the shelves, but they might not be presented the announcement event set for August 9. First off, we have the colorful, Bluetooth-enabled S Pen stylus that Samsung has prepared for this year's Note series phone. It comes in six color options: black, blue, brown, gray, violet, and yellow. Next in line, there are the usual “Clear View” standing cover case, silicone covers, as well as the leather cover, which will be available for prices that will be revealed closer to release. 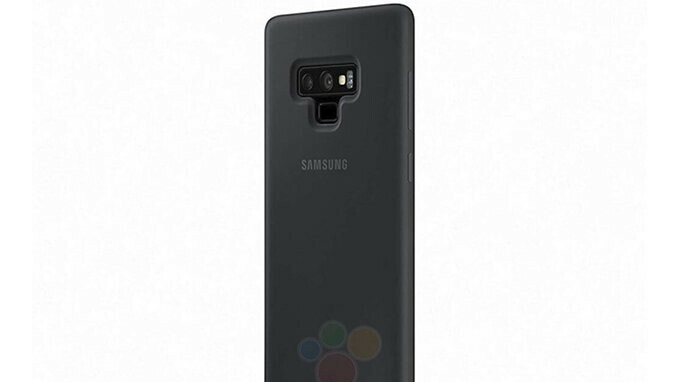 For those who aren't convinced they will be able to keep their Note 9 unscathed, Samsung is preparing a special rugged protective silicone cover, which features a built-in kickstand tagged with the U.S. MIL-SDT810G certification. There are no prices attached to these images yet, but we do know that just about all the accessories spotted today will be available for purchase on August 24 when the Note 9 is supposed to make its debut on the market. Other than the stick what would there be any discernible difference from the competition like the Vivo NEX or Asus ROG Phone. SD 854, 8GB RAM, a possible 512GB storage. Have you not ever used a Note? Have you ever even held one? "Other than the stick". Sarcasm? The Note is a "Galaxy", which takes all the best features of the Galaxy family and wraps those features around the S-Pen. The NEX and ROG are certainly stunning devices, but neither are unique. The Note stands completely unchallenged by any phone in the world. The fact that it's not those phones & they're not considered competition. Buddy you’ve obviously never used a Note before! Don’t just look at the specs, literally they are just numbers that don’t represent the actual phone. Note is a completely different class of phone than other phones with similar specs. I’d pick it in a blink over any other Android phone. I'd willingly pay the 'premium' for the highest-spec Note9 should carriers choose to offer it. How bout you wait until 8/9 then? supposedly heavily modified to work with fortnite which will be a note9 exclusive.